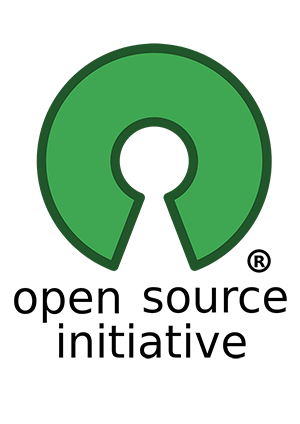 Open source software is a faction of the Free Software movement, the aim of which is free access to the software for all its participants. Open source software means increased security – because the source code is exposed to the public eye, its users are examining it with extreme accuracy. Errors are detected and corrected immediately. For this reason, the reliability of Open Source applications is very high, compared to the closed, proprietary programs. This disproves the myth of the alleged lack of professionalism of open source software. The basic idea of Open Source is very simple – if by using the Internet, developers from around the world can participate together in the process of upgrading the software (error correction, expansion of functionality), a rapid application development is guaranteed. For this reason, the manufactured product is, as a result, better than the traditional closed model, where only a few developers has access to the source code and all others must use an application out-of-the-box, closed and preventing from any modification. Thanks to the openness of the code, you will no longer be dependent on your software vendor. Practically every programmer or implementation company specializing in technology in which the application is created can provide additional services for your company. There is still circling a myth on the IT business solutions market that Open Source solutions are totally free. Open source code is not synonymous with free of charge license, installation or configuration. Indeed Open Source systems are frequently much cheaper than their fully commercial counterparts, however the biggest advantage of implementing this type of systems is their unlimited access to the source code. The above-mentioned possibilities can relate both to a single system, as well as to a cohesive platform of open source systems cooperating with each other. Imagine the quality of work in a company, where data and modules will be perfectly interrelated, for example for Marketing Department (Mautic – open source marketing automation), Sales Departament (SugarCRM or SuiteCRM) or for the whole organization (Alfresco – workflow and central data repository).